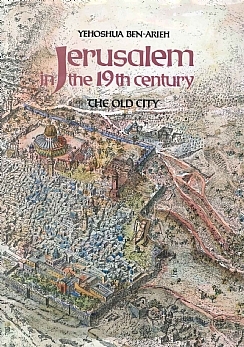 The author presents a reconstruction of the portrait of the Old City of Jerusalem during the nineteenth century as reflected in contemporary writings. This is done through adoption of the historical-geographical approach to such research. The volume attempts to implement the principle of synthesis customary in historical-geographical research, combining in one account the various components, passive as well as active, which – singly and combined – have conditioned all facets of the Old City of Jerusalem and its history during the nineteenth century. The price that appears in this page is the book price without delivery fee, And the cart is for local shipment only. In order to let you know the exact amount for shipping abroad to your address, Please fill in this form here and we will be in contact with you shortly.